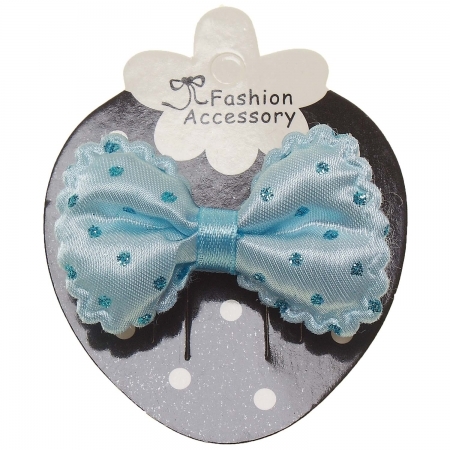 Blue hair Bow decorated by blue glitter polka dots. Flat clip. Size 6cm x 3.5cm.